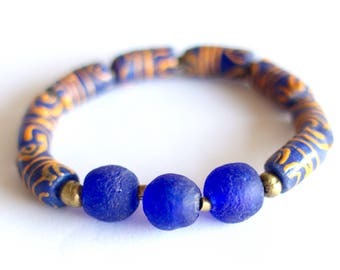 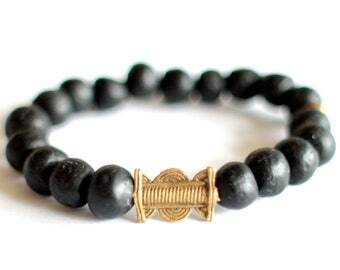 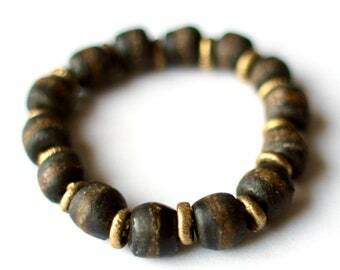 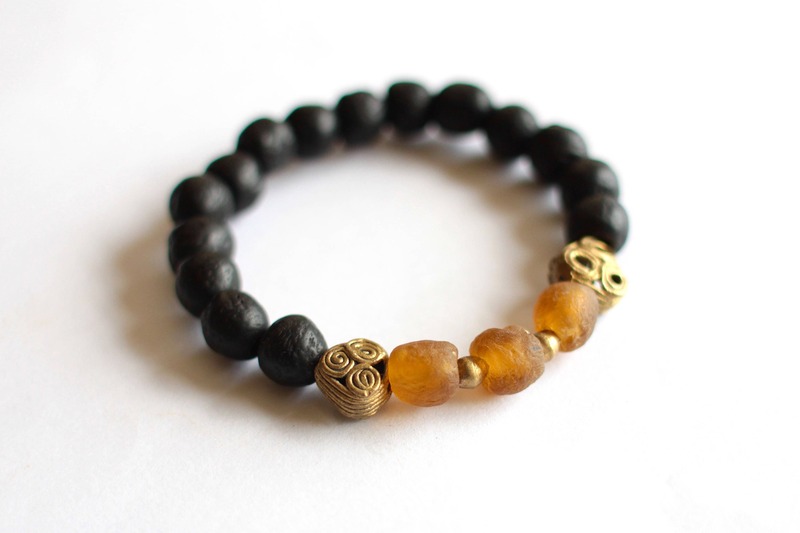 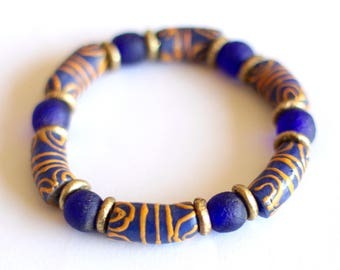 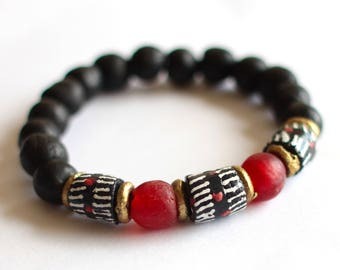 This bracelet is composed of charcoal black Ghanaian recycled glass beads, two beautiful brass beads, small Ethiopian brass beads and beige recycled glass beads. 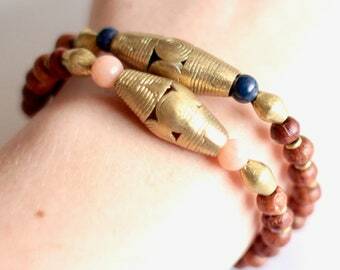 This brass piece is usually made in Ivory Coast or Ghana, and comes from the Ashanti tribe. 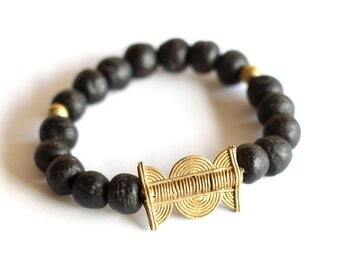 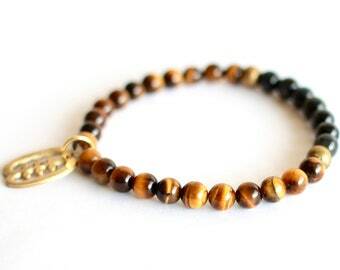 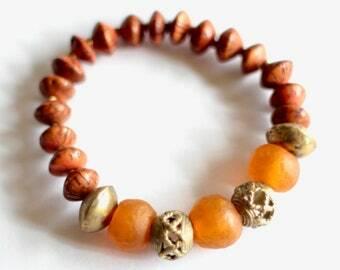 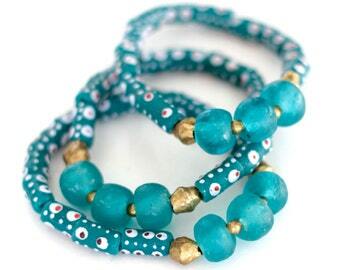 The bracelet is elastic, and fits a medium sized wrist.